"Literature and butterflies are the two sweetest passions known to man." Like butterflies, these words travel to distant places. I feel proud to be able to spread the wonders of literature, poetry and art across the globe. Far from being elitist, art and literature are like creatures that stoop down to reach out to us, and we can reach out to them. They make the uniqueness of the human soul shine with meaning. They bring us together, superseding the labels of mediocrity. Since I started blogging I've had my works published in different venues. First and foremost, I thank my family and friends for their motivation to read this blog and, above all, for their love and support. Next, I want to thank ALL my readers, wherever you are. I 'm also grateful to all the writers and poets who awaken the music within my soul. Last but not least, I thank all the naysayers out there who through their negativity inspire me to bolster my will power to read and write better each and every day. I compiled some of the most important links to my blog posts on art, literature, and writing. Enjoy my blog-library... and don't miss the last part of the party. Keep scrolling down. There are quotes, art and music! Merry Christmas. May 2015 be a remarkable year. May the light of love, peace and hope shine in our hearts. Congratulations on the blog anniversary! And thank you for all the wonderful gems of art and literature. Merry Chirstmas to you too! I look forward to reading your awesome blog too! I love reading your thought-provoking book reviews. It has been a good blogging year. This be cause for celebration. 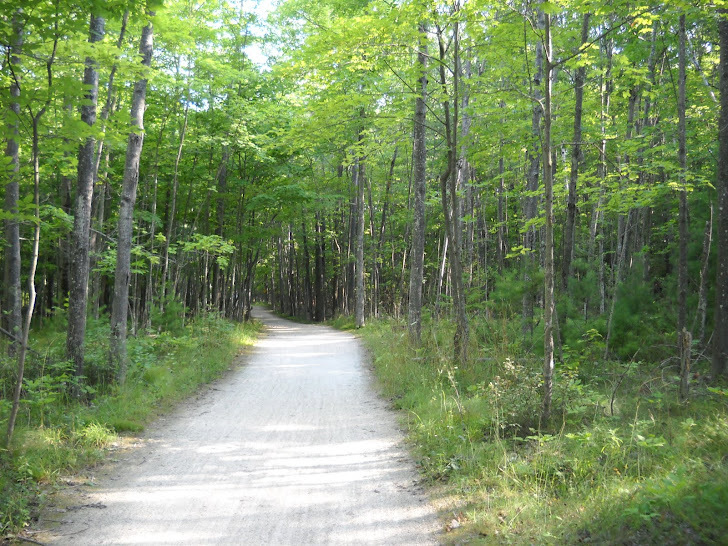 A blogging anniversary full of hope, enlightenment and inspiration. Inspiration that inspires inspiration within others. A pawsitive outcome, my kind human friend. As for the naysayers, indeed, they only make you more resilient. An irony of hope. Thank you for joining the party, sweet Penny. Happy blog birthday and Merry Christmas. Great anniversary post for holiday season, Julia! You are a prolific writer&reader. There are several posts in your links I would like to read in near future. Great quotes. How inspiring that Highsmith's quote is! Never knew she said that, but that's so HER! I too found blogging comforting and self-expressing. Glad we met on this cyber world, the place we can share something with true honesty. Merry Christmas and may 2015 be a great year for you! 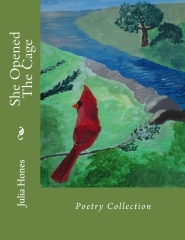 Enjoy the wonders of poetry, literature and art! Wishing you a very happy & Prosperous New Year.. Thanks for all the support! Keep writing! Keep lighting!… BEST PRAYERS FOR FUTURE!! Thank you for your kind support, Adhi! Julia, Happy Birthday to your excellent and creative Blog! I love the image of words like butterflies traveling to distant places. I totally agree with you that art and literature, “make the uniqueness of the human soul shine with meaning.” Thank you for all your wonderful posts and I am very happy we discovered each other’s blog and became friends in the blogging world! What a gorgeous photo of the flower and butterfly! 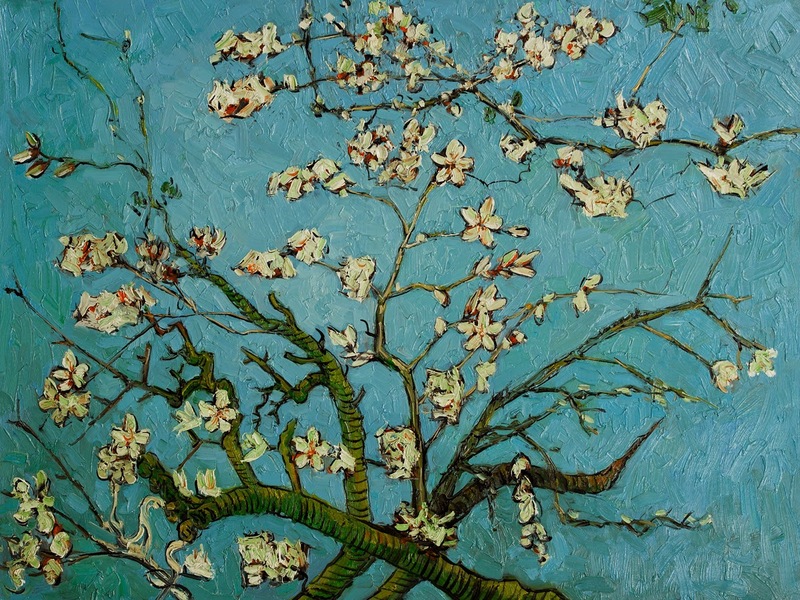 Also love the Van Gogh painting of the almond blossoms (recognized that one right away, I am a Van Gogh fan). Love all the quotes, really beautiful, and thanks for the links to your blog library. John Lennon’s “So This is Christmas” is one of my all-time favorite holiday songs. May the "light of love, peace and hope" shine in all our hearts. Wishing you a fantastic and continually creative New Year in 2015! I am honored to read your comment here. I 'm also thankful that we met in the blogging world. You are a special, kind friend to me and I love all the comments you leave on my blog. Your unique sensitivity and kindness make you truly special, and I admire your photography and your blog posts. I knew you'd love Van Gogh's painting by the way. I wish you a creative joyful year my friend. Happy Birthday to your blog. I hope your Christmas was very special and your New Year will follow with many poems, yet to be written and many more brilliant posts to be added. Loving thoughts to you and your family. Thank you for the good wishes, Manzanita. I hope you and your family have a year of joy, health and love. Definitely keep on .. perhaps a quarterly summary in 2015 - or every four months? A thought .. Happy New Year to you too! I wish you health, happiness and joy! ...and lots of interesting blog posts!